87% Off Canvas Prints | Promo Applied! Elevate the Look of Any Space with Our Panoramic Canvas Prints! If you are looking for something extra-ordinary to decorate your interior space, then choose our panoramic canvas prints. These canvas prints are different from photo canvases and have a more life-like appeal to them. When installed to any wall, these canvas prints have the ability to make your interior space standout and look much classier. The panoramic size canvas prints are ideal for living rooms where you need to decorate the space with eye-catching art. With these canvas prints installed in your living space, you can rest assure that all eyes are on your walls. 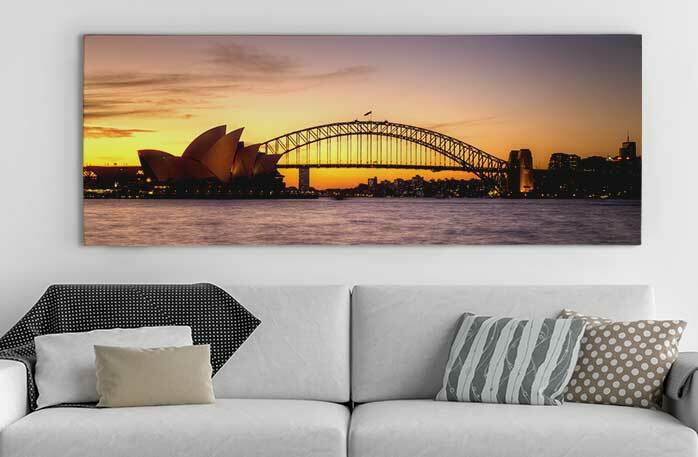 Exquisite Panoramic Canvas Prints In Customisable Sizes! 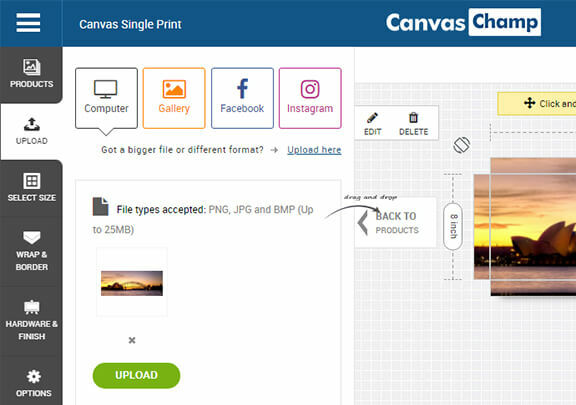 At CanvasChamp, we truly believe that one size doesn’t fit all, which is why we offer you a chance to customize the size of your canvas to your desire. We have a variety of sizes available on offer so that your final product is perfect and ready-to-be-installed. 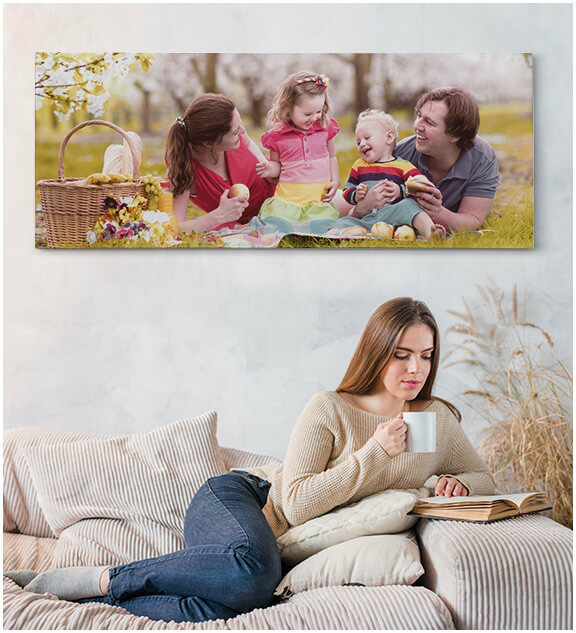 You can also choose your desired image to be printed on our panoramic canvas by uploading it directly from your computer. Our panoramas are made using high quality materials and printing technology, making your final wall art much more valuable. The panoramic canvas prints you order from us will continue to act as aesthetic enhancers for your walls for a long time. Your Desired Panoramas Delivered At Your Doorsteps! At CanvasChamp, we ensure that you receive your ordered panoramas in their finest form, which is why we pack them in protective packaging. This packaging keeps the artwork in place and safe from any kind of damage so that you receive an unharmed panorama ready-to-be-hanged. Our panoramas are delivered with pre-installed hanging accessories so that you do not have to go through any added hassle. 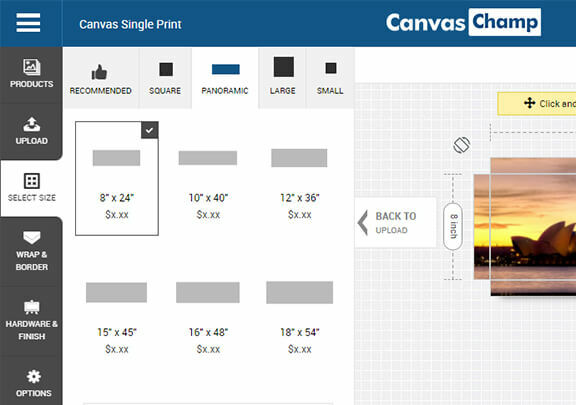 For 100% quality and price satisfaction, order panoramic canvas prints from CanvasChamp now! It’s easy! 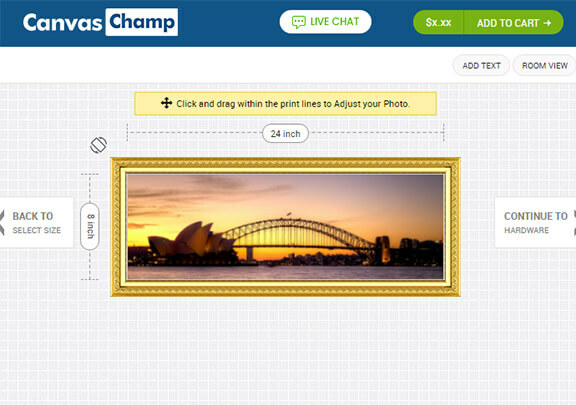 You can create a personalised extra large canvas print from photos in a few simple steps.